In this post, I will profile five up-and-coming players – one player each from Cameroon, Ghana, Ivory Coast, Nigeria and Senegal. These five players are on my “radar”, meaning that I am currently looking for more information about them. I think all five players could get their breakthrough in 2012. 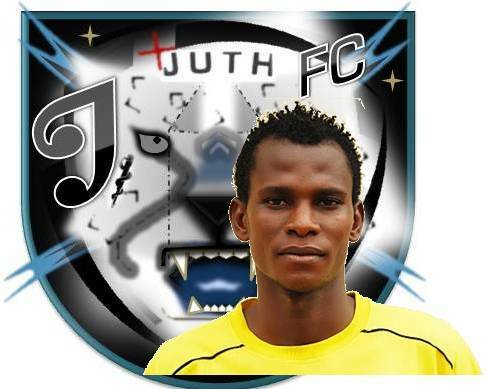 Attacking midfielder Uche Agbo joined JUTH FC from second level side Taraba FC during the mid-season transfer window, most likely in May 2011. Agbo scored one league goal during the second part of the Nigeria Premier League 2010-2011. Agbo caught few headlines but made several impressive performances. After the season, most likely in December 2011, Agbo joined top club Enyimba FC for the up-coming 2012 season. Officials at Enyimba FC have described Agbo as a “mercurial midfielder”, suggesting that he is a very creative player. The date of birth of Agbo is unknown but according to 2muchsports.com, Agbo is born in 1991. Fousseny Coulibaly is a strong, lanky player, apparently 190 centimeters, mostly found in a defensive midfield role. Apparently, Coulibaly has the same style of play as Yaya Touré of Manchester City FC. Coulibaly has been a key player for Stella Club d’Adjamé for the last couple of seasons. Coulibaly was named in the squad of the Ivory Coast U-23 national football team in October 2011. His date of birth is unknown but according to trustworthy sources, he is born in 1990. As far as I know, Couilbaly has yet to score his first league goal in the MTN Ligue 1. His name is sometimes written “Fousseni Coulibaly”. Striker Alassane Diallo made a breakthrough in Senegalese football during the Ligue 1 2010-2011, scoring at least six leauge goals, most likely one or two more. The previous season, Diallo scored at least two league goals, most likely one or two more. Diallo was part of the Senegal B national football team for the 2011 UEMOA Tournament. Senegal B eventually became champions and Diallo started the final match. Apparently, Diallo had a wonderful tournament. Diallo has already scored his first goal for US Gorée in the two-week long Ligue 1 2011-2012. Diallo is a centre-forward but I still have not found information about his style of play. His date of birth is still unknown. Diallo was apparently on a trial period in Lebanon in early 2011. I believe that he should aim higher. Talented striker Benjamin Fadi has scored three league goals during the first 12 matches of the GLO Premier League 2011-2012, his first season at top level. Fadi is a burly centre-forward who uses his strenght to hold up the ball. In some matches, Fadi has played as a lone striker, which clearly shows that he has already become an important player for Heart of Lions FC. The birthdate of Fadi is unknown but he is registered as a U-23 player. The MTN Elite One 2010-2011 was the first season at top level for the promising striker Ernest Nsombo. The 20-year old marksman is apparently 184 centimeters and 74 kilos. Nsombo is described as a fast, technical center forward who is strong in front of goal and a great header of the ball. Apparently, Nsombo plays with both feet. I expect Nsombo to perform even better for the up-coming MTN Elite One 2012. Nsombo is apparently from Nkongsamba in western Cameroon.